Andrew Kidman is in town on Sunday, Nov. 17th at Union Pool playing a live acoustic set!!! 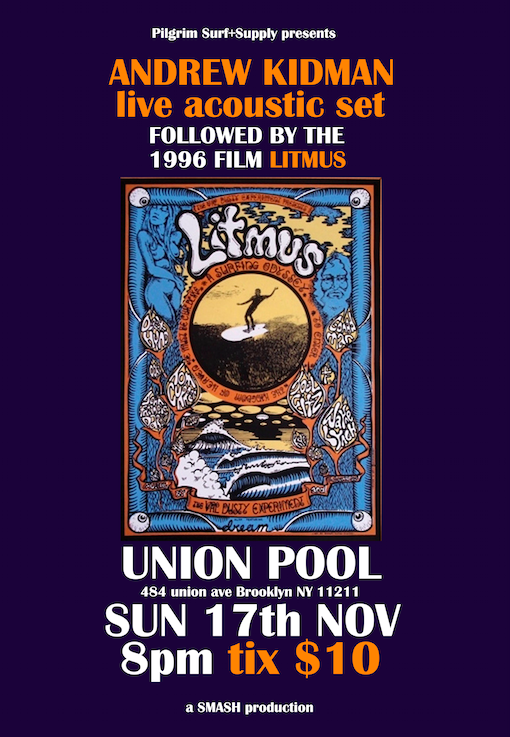 Afterwards there will be a screening of the 1996 film “Litmus.” Tickets are $10 and the event is hosted by the rad guys of Pilgrim Surf + Supply and SMASH. Tickets are $10 at the door. Tickets will not be sold in advance. Find out more about the event at the jump.